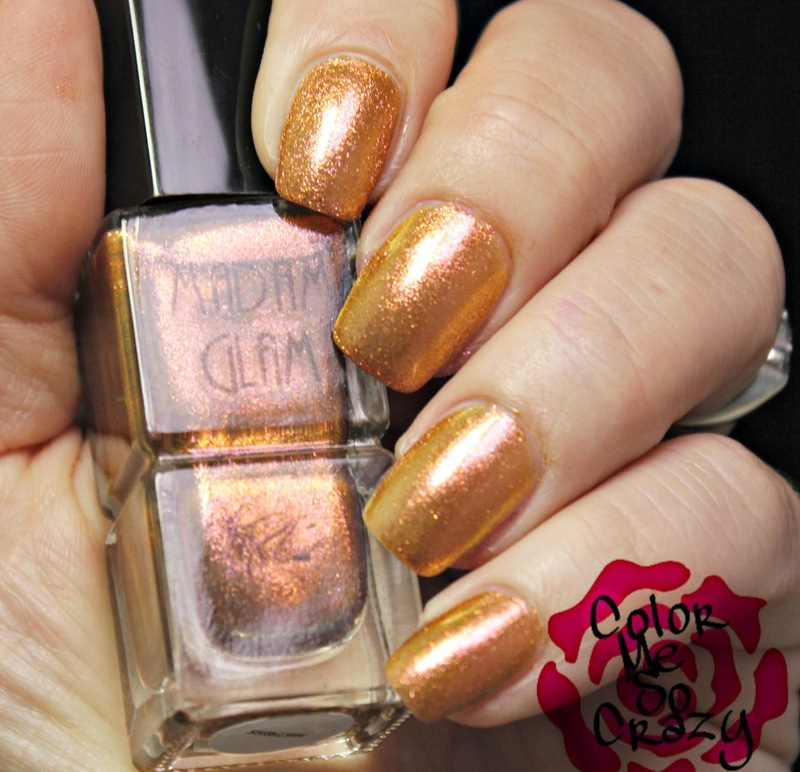 Madam Glam Metallics? Yes, Please!!! Today, I am wrapping up my Madam Glam beauty quest. 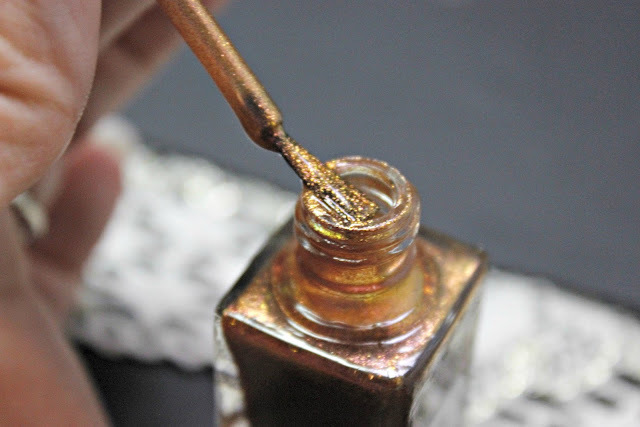 I have three beautiful metallics to share with you. Did I mention that these are all 5-free, vegan and cruelty free? Oh, I didn't...well they are! 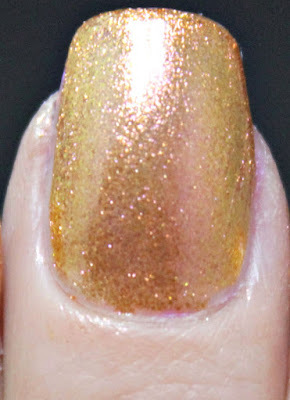 This is awesome because not a lot of lines of polish can offer this. This baby is a textured antique gold. I love the way it feels when it dries and I absolutely love the color. I am such a gold lover and this will go in my "loves" pile. 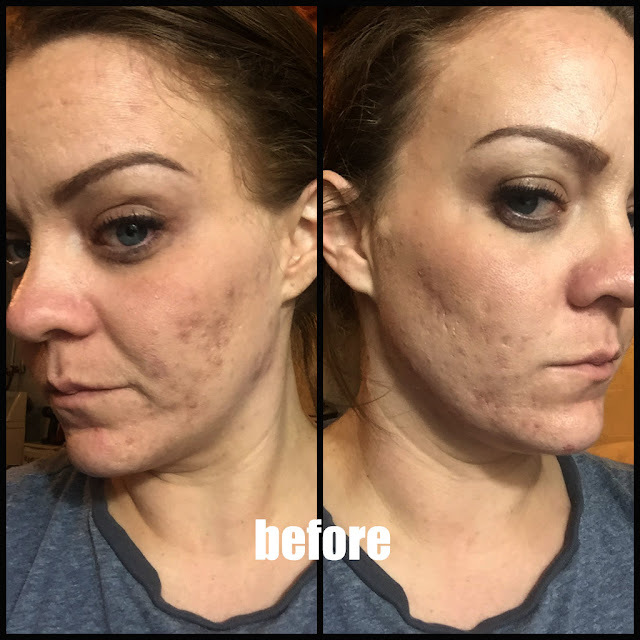 The formula was really nice for me. I layered it with 3 light coats and it came out perfectly. 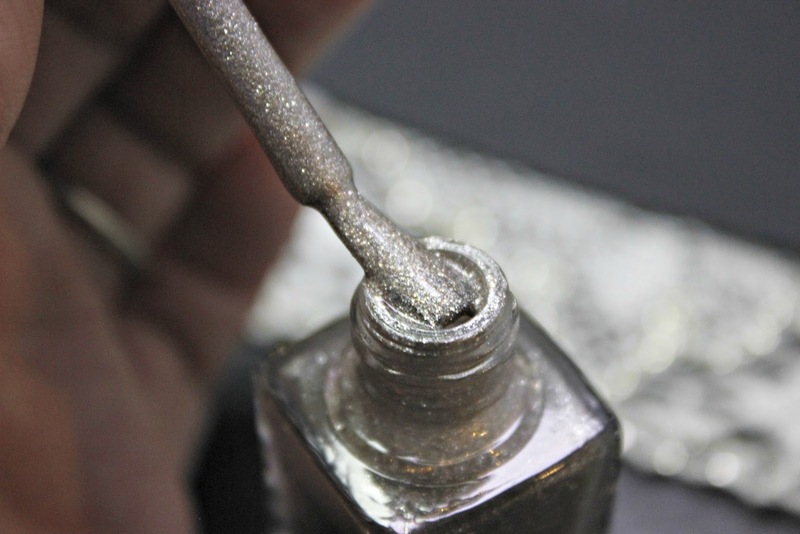 You do have to work fast otherwise, you will be dragging the semi-dry polish all over your nail. 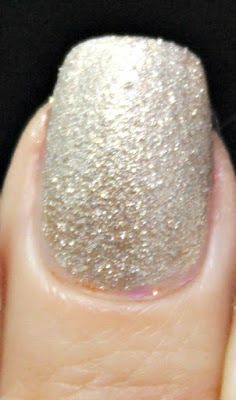 This polish looks amazing once it's applied and I just love the glitz in the light. 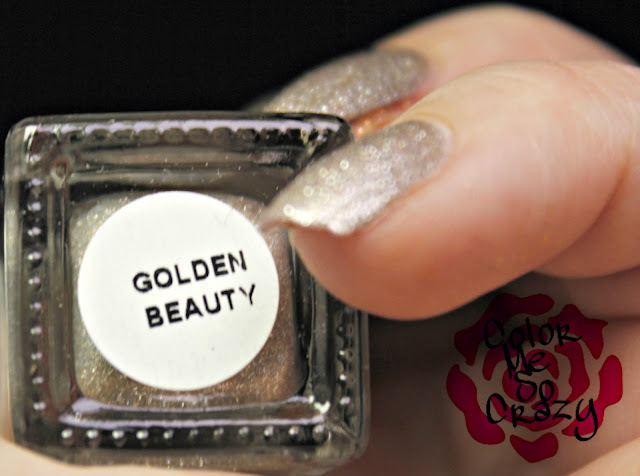 Golden Perfection should be the name, but Beauty works too! 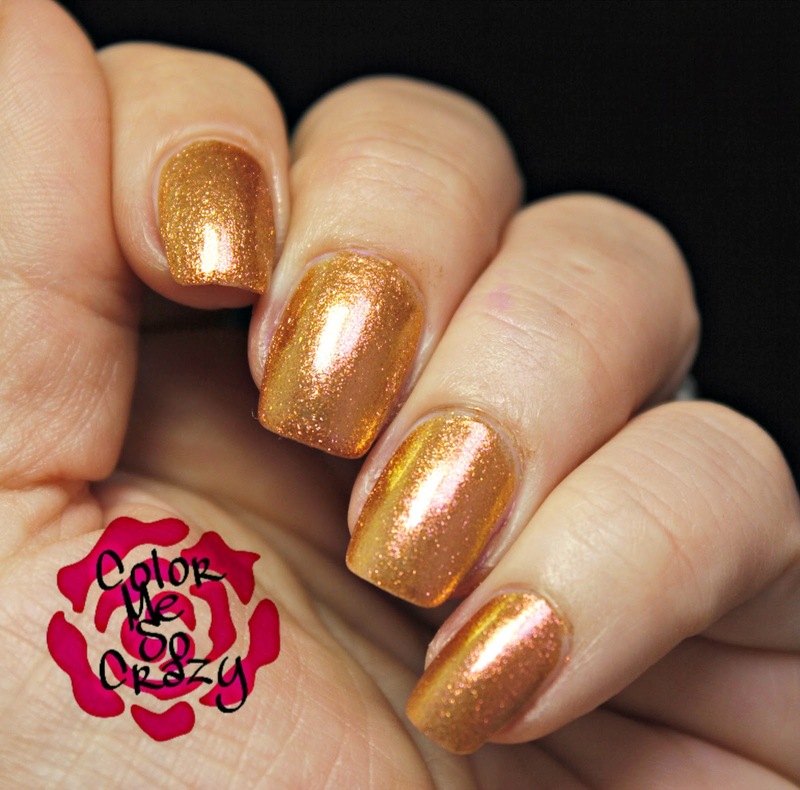 This beautiful golden bronze is a considered a holographic chrome. I see this more as a metallic chrome, but let's explore. As you can see, it shimmers throughout and does have a beautiful metallic finish. Move it around in the light and you get all kinds of beauty. I almost see a multi-chrome going on but it leans a little more metallic than chrome so I am torn. Either way, this is a gorgeous polish and I have been wearing the heck out of it. I can't wait to do some art with it. As you can see in this picture, it does not have a texture to it but it dries smooth. It applies super easy, too. I used 3 light coats to build it up to this opacity. I didn't have any problem with application either. Ok. this isn't a metallic by definition but it definitely looks metal-ish. 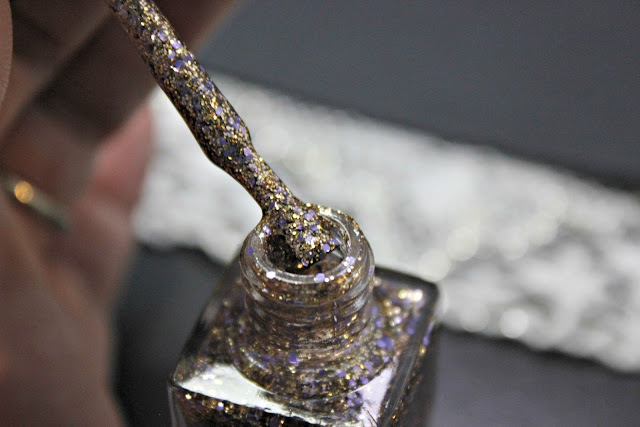 This is a full metal glitter and it is gorgeous! If you are into metals like I am, you will love this. Ok so I think the reason this glitter fascinates me so much is that there is not only gold (my fave color if you haven't guessed) glitters in this polish but there are lavender pieces throughout. Lavender!! How genius?? 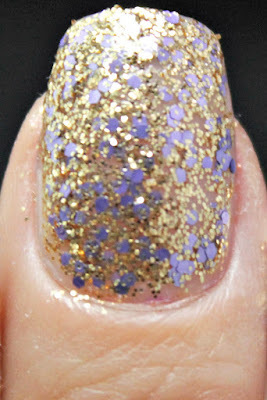 The golden micro glitters mixed with those large lavender hexes is a perfect combination. I would probably wear this over a navy blue or even a black. Something dark will make these pop so hard! This was easy to apply and even though I didn't reach a true opacity, I got pretty close with 3 coats. Go slow and it will make you happy! Light, multiple coats is how to get this one work for you. If you are layering this over another color, you may want to go with one layer for the ultimate effect. Each of these are only $7.90 and Madam Glam always has specials and sales. I have loved every polish I tried today and every polish I have ever tried from them They are each rich in formula, easy to apply and look gorgeous when dried. What do you think of these? Are you loving all over metallics as much as I am? 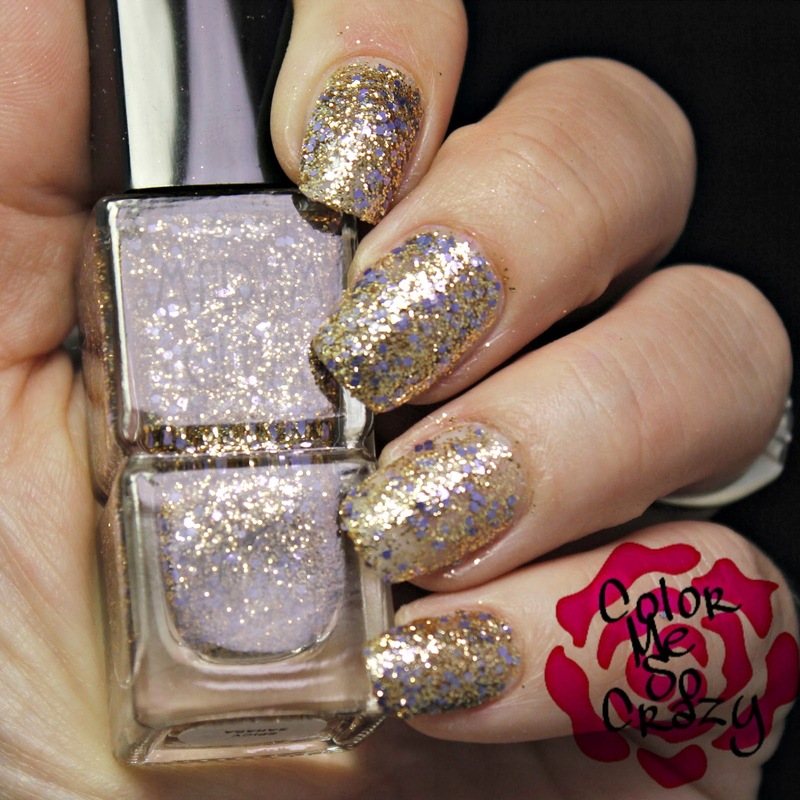 What color would you layer under that gorgeous glitter? Have you tried any Madam Glam polishes?